I guess all those other 14 offers got him looking for other options. You need to tell Grandma to tell him to come down here, pronto. He is a big guy. Good speed. Are there any walk-on’s that anybody is seeing this Spring? 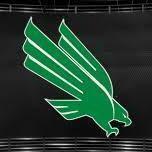 Moderator, need to move this thread to North Texas Athletics. Derail Green had been Derailed by criminal activity according to the Denton Chronicle. To bad DMN does not allow it to be shown without a subscription but thanks for posting it. It seemed we had lot more people posting in the game against Rice. We need more people on this board the way we are playing. Thor is a master degree a must now adays. This is outside the Jalen topic, I got a BBA in 81 and even then it was highly competitive for a Sales Rep position in a Fortune 500 or 100 company. Thanks to both of you. 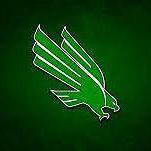 Sometimes because of circumstances we are limited by money even tho we love going to see the Meangreen play and drive 5 hours from SA to Denton. I have heard that Berkeley like California is very expensive. Hopefully I will find a way.